Thursday, December 3rd, 2015 at 10:49am. The 21st Annual Holiday Boat Parade of Palm Beach is coming to town this Saturday, December 5, 2015. It is a cherished event in the area and local residents prepare for it for weeks. A major event of the Marine Industries Association of Palm Beach County (MIAPBC) and festive present to society, the Annual Holiday Boat Parade will set the bar even higher this year. 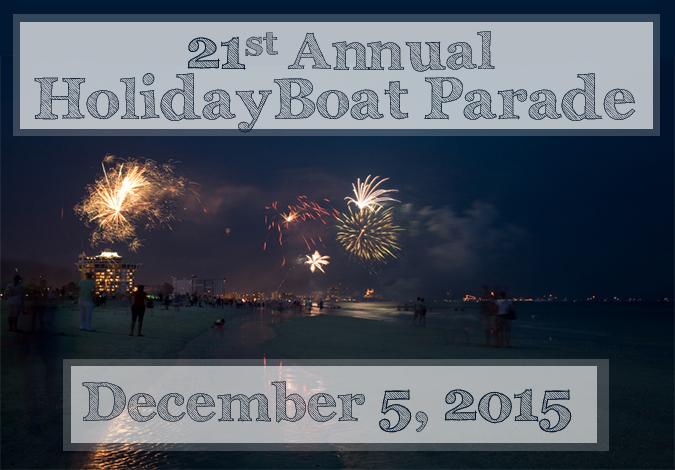 The 2015 21st Annual Palm Beach Holiday Boat Parade kicks off the holiday season this year on Saturday, December 5! In years past the famous Palm Beach Boat Parade collected more than 18,000 toys for needy children in Palm Beach County! Favorite area businesses and local municipalities continue providing ongoing support for the Marine Industries Association of Palm Beach County event.